Today is July 29, the day Microsoft launches final version of Windows 10. However unlike previous versions of Windows, Microsoft is doing a phase rollout of Windows 10 upgrade, which means not everyone will get the update on the same day. But as they, where there’s a will, there is a way. And so if you are in the same boat as many others whose Windows 10 upgrade hasn’t automatically started downloading yet, you can follow the tutorial below to force Windows Update to download the update for you right now. I have personally tested this and can confirm it worked on my Dell laptop. There’s no reason why it won’t work for anyone of you on any other computer running Windows. 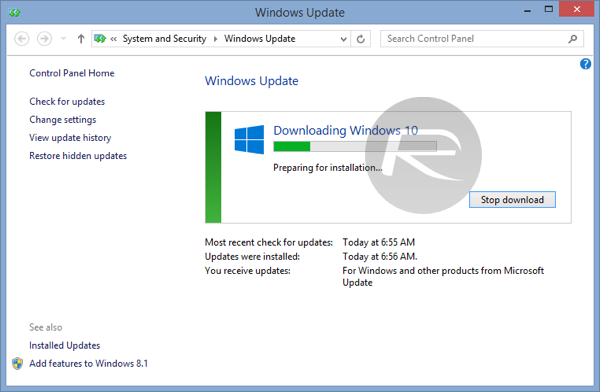 How to check if your PC isn’t already downloading the Windows 10 upgrade? Navigate to C:\ drive and see if it has a folder named $Windows.~BT (you may have to enable Hidden items to check this). If it is there, you are all set, but if it isn’t there, you will need to follow the instructions below to force Windows 10 downloading. Must be running genuine copy of either Windows 7 SP1 or Windows 8.1 Update. Must have all the previous updates installed from Windows Update. 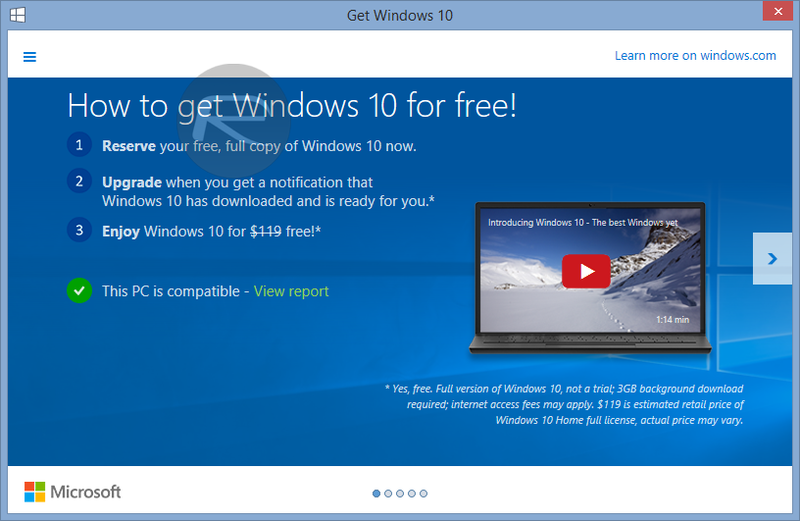 Step 1: Make sure you have reserved your free copy of Windows 10. If you haven’t done this already, you can follow the instructions here on how to reserve your free Windows 10 upgrade. 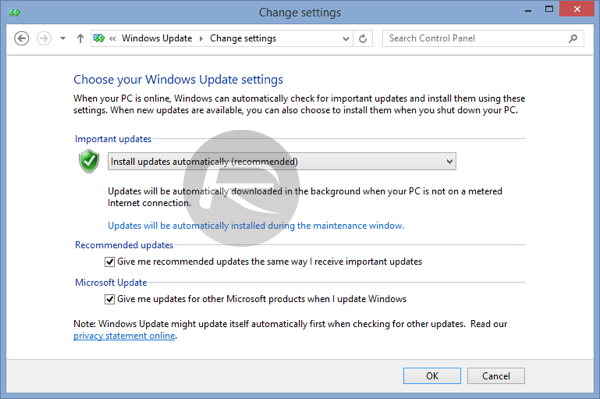 Step 2: Run Windows Update, and make sure you are set to receive updates automatically. Step 3: Navigate to C:\Windows\SoftwareDistribution\Download folder and delete everything in this folder. Don’t worry, it wont ruin your system. 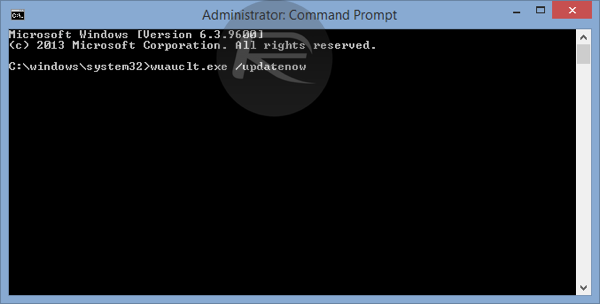 Step 4: Now run Command Prompt utility in Administrator mode. Simply search for ‘cmd’ from Start Menu/Screen, right click, and then click on run as administrator. Step 5: Type this command and press enter: wuauclt.exe /updatenow. Step 6: Now after a few minutes, check for updates in Windows Update. 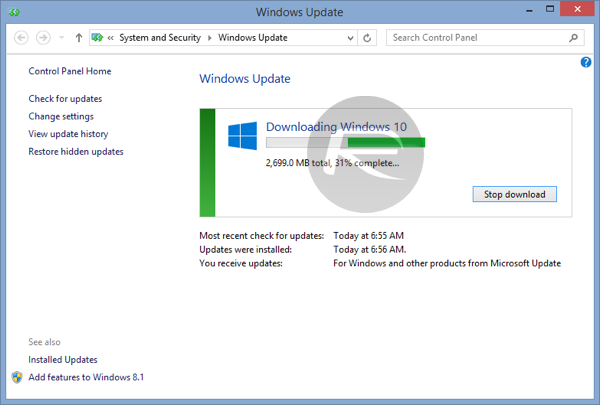 You should now see Windows 10 being downloaded on your PC. The size of this download will vary depending on the version of Windows you are currently running. Download time will also vary depending on the type and speed of Internet connection you have. Step 7: Once the download is complete, it will start ‘Preparing for installation’ after which you can install the update. So, did this trick work for you? Let us know in the comments section below.